Posted on December 16, 2015 at 8:19 pm. Coco Bodu Hithi returns with Savour 2016, a sophisticated culinary experience that is fast becoming Coco Collections’ homage to fine dining in the Maldives. From 21st February to 04th March 2016, experience the exclusive opportunity to indulge in award-winning creations with renowned chefs. Leading this signature event are three celebrated personalities Coco Bodu Hithi is proud to welcome back. From France, Michelin starred chef Frédéric Doucet from Restaurant Frédéric Doucet, from the UK, Michelin starred chef Nigel Haworth from Northcote Restaurant in Lancashire, and Aktar Islam from Lasan Restaurant in Birmingham. A dedicated program spread over two weeks will delight gourmets with 5 course dinners prepared exclusively by the chefs. While each chef brings a hint of nostalgia with regional tastes, at the core of each course are exquisite flavours and a unique sense of cooking. Similarly, master classes will enable guests to get up close and personal with all three chefs as they demonstrate how to recreate dishes from their menu for a light lunch. The wine tastings with an expert sommelier invites guests to explore the light flavours of Rosé with themed tastings such as ―Rosé Soirée‖. The team at Coco Bodu Hithi further enriches the program with special demonstrations. While the head chef of Tsuki shares the impressive techniques behind Japanese cuisine, another chef teaches some tricks behind the skill of Wok cooking. With seafood barbecue nights on Breeze beach and extravagant buffets at Air restaurant, guests can expect two weeks of dining excellence at Coco Bodu Hithi. “Savour 2015 was an exceptionally successful experience among all our guests and the 2016 chapter will gather likeminded gourmets. Our overwater restaurants, Stars and Aqua, will once again set the backdrop for many evenings of original creations. 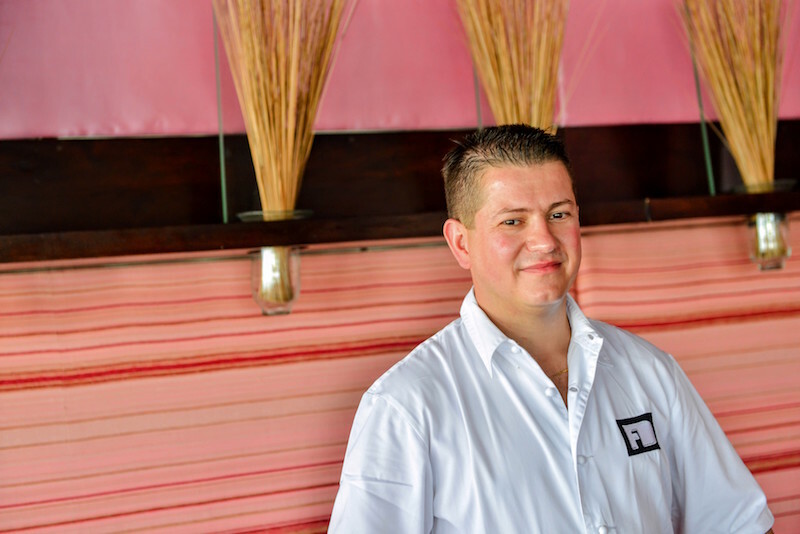 With Frédéric’s flavours from the Charolais countryside, Nigel’s rustic cooking laced with Lancashire tastes and Aktar’s unique South Asian twists, this is a rare imitate opportunity for our guests!” comments Georgios Papazoglou, General Manager at Coco Bodu Hithi. Starting from USD 4,250 for two persons, enjoy luxurious accommodation in an Island Villa for 5 nights, two exclusive dinners created by the visiting chefs, two master classes to take home some expert culinary tips, and two wine tastings with a sommelier to discover wines from the old and new world. Guests are invited to indulge in this culinary journey spread over two weeks, valid for stays from 19th February – 07th March 2016. For more information, visit www.cocoboduhithi.com or email [email protected] to book your stay. Aromas, flavours and wholesome ingredients from the Charolais countryside make up the fine creative cuisine crafted by Frédéric Doucet and his devoted team at Restaurant Frédéric Doucet. Apart from one Michelin star, Frédéric’s gourmet restaurant received 3 Gault & Millau toques and 15/20 in the Guide Champérard. Mentored by the legendary Paul Bocuse and having worked alongside Chefs Michel Troisgros and Alain Ducasse, he brings eclectic approaches to cuisine. 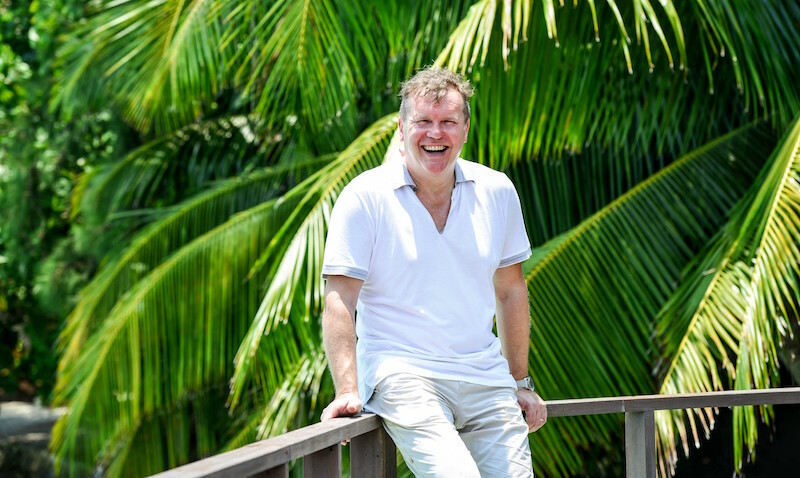 Nigel Haworth from Northcote in Langho, Blackburn is renowned for his seasonal, British food — long before they became buzzwords. Today Nigel celebrates an Egon Ronay Chef of the Year Award and a Michelin star that has been retained since 1985. Since winning Great British Menu in 2009 with his now-legendary Lancashire Hot Pot, Nigel continues to make regular appearances on television and frequently showcases new dishes to James Martin on Saturday Kitchen. The Winner of Great British Menu 2011, Aktar Islam’s exposure to British cuisine and the strong influence from his culture are what have shaped his unique style. 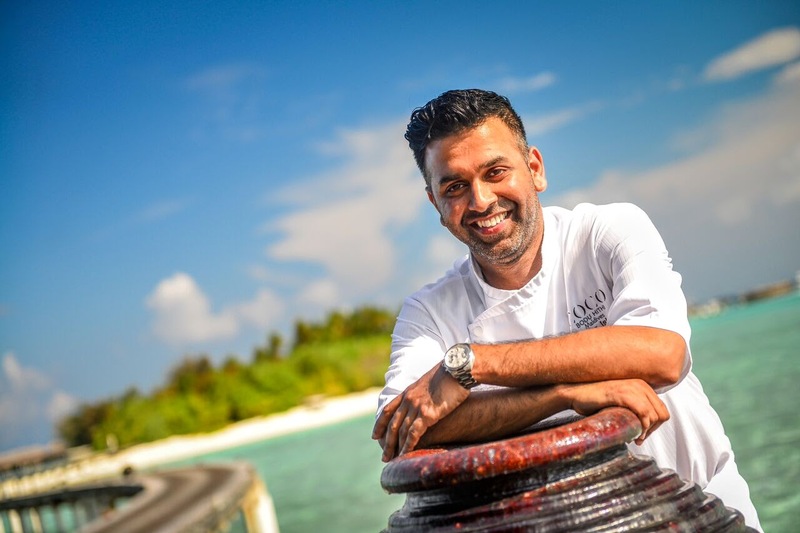 Aktar’s passion for creating modern South Asian cuisine has ensured his meteoric rise as one of the most talented chefs in the UK. With notable TV appearances, he has secured a reputation as an entertaining and engaging television chef with recognition by the Buckingham Palace.